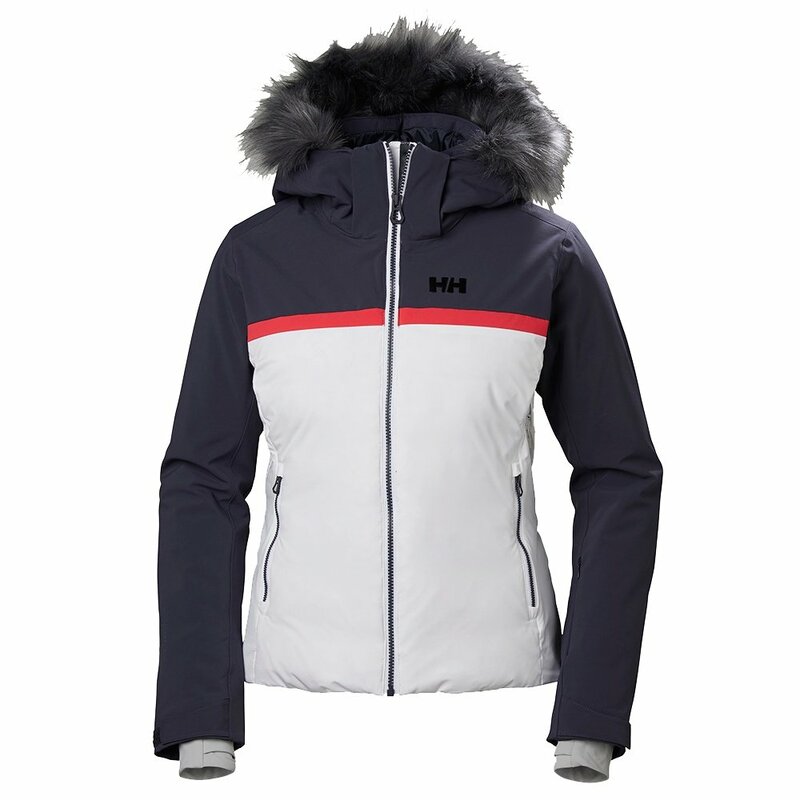 Helly Hansen's Powderstar Insulated Ski Jacket digs a nice little niche between a waterproof-breathable ski jacket, puffy jacket, and fashionable lifestyle piece. It protects with 33K-waterproof poly stretch fabric. A mapped blend of PrimaLoft® Down and PrimaLoft® Black Eco adds puffy warmth where you need it and keeps things sleeker in other areas. Helly's H2Flow™ system helps you manage temperature by trapping and releasing body heat in special vent pods. So whether you're facing below-zero frigidity or early-spring warmth, you'll find your personal comfort sweet spot with the Helly Hansen Powderstar Insulated Ski Jacket. "Can you take the fur off ? Is the hood insulated ?" "Thank you for contacting us. The Helly Hansen Powderstar Ski Jacket is fully insulated. The fur is removable. We hope this information helps!"